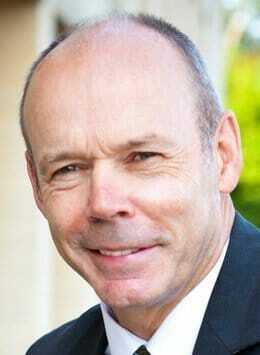 Sir Clive Woodward is the Former British Olympic Director of Elite Performance and Former England RFU Coach. Woodward was appointed as the first full time coach to the England Rugby team in September 1997. Prior to 1995, the game had been run and played on an amateur basis. This was a turning point in the history of the game. Clive attended Loughborough University and graduated with a Sports Science degree and teaching qualification (PGCE). As a rugby player, his first club was Harlequins, followed by Loughborough Students, and Leicester. He won 21 caps for England between 1980 and 1984. He also toured twice with the British Lions. An exciting and elusive player, some have since said that even then he was ahead of his time. Throughout his playing career, he worked both in the UK and in Australia for Rank Xerox followed by Portfolio Leasing Australia. After returning to the UK, he established his own successful leasing company in 1990. His coaching career began soon after he had returned to the UK. This started with Henley. Under Clive’s leadership, the club gained three promotions in three successive seasons. He then coached London Irish where they won promotion to the Premiership. He went on to coach England U21s for three seasons (1994-97), and whilst coaching at Bath, he accepted the challenge to coach the England senior squad. After transforming the national side, England began to beat southern hemisphere teams on a regular basis, becoming ranked No. 1 in the world, and ultimately winning the greatest prize in rugby, the World Cup, in November 2003. In 2004 Clive Woodward was awarded knighthood in the New Year’s Honours. In September 2004, Sir Clive announced his resignation as the RFU England coach. Following the 2005 British and Irish Lions tour to New Zealand he made a switch to the football league. Sir Clive became the Performance Director at Southampton Football Club, and in 2006 was appointed Director of Football. Between 2006 and 2012, Sir Clive Woodward was the director of elite performance for the British Olympic Association. Woodward and his staff are credited with creating a unique management system within international rugby, bringing professionalism to rugby in England at this level. He has revolutionised the game both on and off the field. Whether in the field of sport or business, the principles associated with building high performance teams are the same. Leadership, Teamship, Partnership and Attention to Detail are the key components of the team building process. Cultures may change from team to team and from company to company, but the key ingredients for success remain consistent. During Clive’s time with the England Rugby team, he established a series of high performance management systems incorporating players, coaches, technical, medical and administrative teams. These systems operate individually and collectively, guided by a series of winning behaviours, which ultimately provide the framework for activities both on and off the field. It is the establishment, recognition and implementation of these key principles, which have enabled Clive to meet his twin objectives of wanting to build a happy, and more importantly, successful team. Identifying Your Own Winning Behaviours Will Equate To High Performance: This is true whether you are managing an international sports team or are responsible for a group of highly skilled businessmen and women. The concept and principles remain the same and Clive’s presentations provide you with an insight into the tools and methods that he has used as a world cup winning coach.